Tolles Preis-Leistungs-Verhältnis und schönes Schwimmbad mit zusätzlichem Heißwasserbecken. Where to find Golbasi hotels near an airport? 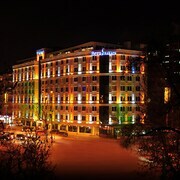 Where can I find hotels in Golbasi that are near tourist attractions? There are no Expedia-listed accommodation options in Golbasi, so an easy option is to book one of the 11 hotels that are within a 0.1-kilometre (0.06-mile) radius. 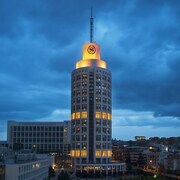 The Swissotel Ankara, Northern Anatolia, which is the closest accommodation, is 30 kilometres (19 miles) from downtown Golbasi. 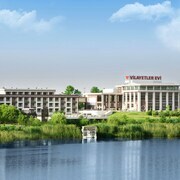 Another handy option is the Bilkent Hotel & Conference Center Ankara, in Northern Anatolia, 30 kilometres (19 miles) from downtown Golbasi. The Monec is situated 25 kilometres (17 miles) from the heart of Golbasi. 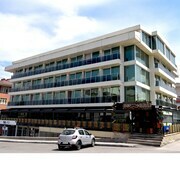 Or, alternatively, the Ulasan Hotel can be found 17 kilometres (10 miles) away. The Cassiel Hotel as well as the Park Inn by Radisson Ankara Cankaya are two other recommended places to book accommodation around Golbasi. After you have learned about Golbasi, why not go a little more of the area? The Ankara - Central Anatolia vicinity has many things to see. Ankara - Central Anatolia has forests, rivers and streams. Commonly visited Ankara - Central Anatolia tourist destinations are ruins, castles and old towns. Popular things to do in this part of Turkey include mountain biking. Cankaya can be found 30 kilometres (19 miles) to the north of Golbasi. While here, you can explore the Speed City. 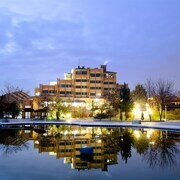 Yildizevler accommodations include the Lugal, A Luxury Collection Hotel Ankara and Sheraton Ankara Hotel & Convention Center. You can also visit Cankaya, home to the Statue of Ataturk. 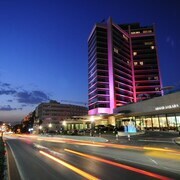 Cankaya is located 30 kilometres (19 miles) to the north of Golbasi. 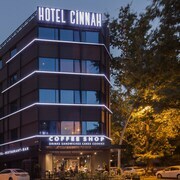 Room options in Cankaya include the Grand Ankara and Ankara Hilton. Get your fix of local sport with a visit to 19 Mayis Stadium, which is 35 kilometres (23 miles) to the north of Golbasi. 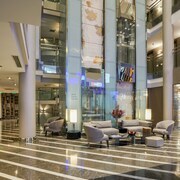 If you are keen on booking a room nearby, make a reservation in the Jw Marriott Hotel Ankara or Wyndham Ankara. Are you looking for the most logical airport for your trip to Golbasi? Esenboga Airport is 60 kilometres (36 miles) away. What are the most popular Golbasi hotels? Are there hotels in other cities near Golbasi? What other types of accommodations are available in Golbasi? Explore Golbasi with Expedia.ca’s Travel Guides to find the best flights, cars, holiday packages and more!